The optimum orientation for a solar PV array is pointing directly south, to gain the most from the path of the sun throughout the day. However, a system can be effectively installed on any orientation ranging from south-east through to south-west, or split across two roofs facing east and west to benefit from the morning and evening sun. These factors should all be considered during the solar PV Design. The output of an array can decrease if any shading obstructs the modules from the sunlight. This could be a nearby tree or building, a chimney stack, TV aerial or soil pipe on the roof. It is important to consider all these factors in order to accurately estimate the annual yield of a system. 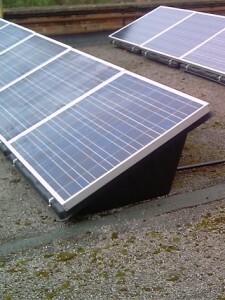 Solar modules are mounted onto existing roof tiles, using roof anchors or roof hooks and aluminium rails. This can be installed on new-build properties and retro-fitted to existing properties. 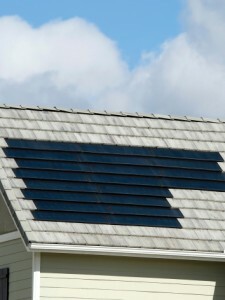 Integrated solar modules, such as solar roof-tiles, take the place of standard roof tiles. This can produce an even greater saving if a new roof is being laid due to the reduction of building materials needed. Using specially designed plastic ‘mounting trays’ the solar modules are pitched at the optimum angle and orientated to gain the most from the path of the sun. Solar PV How Does it Work? 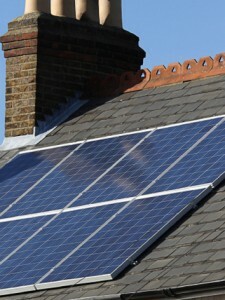 Design and Installation Types of Solar PV Panels Warranties and Guarantees Planning Permission Is my location suitable?